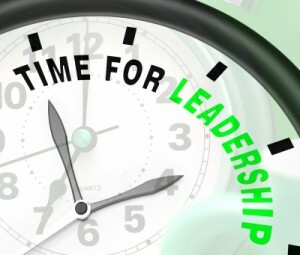 Today’s leaders navigate a world that’s undergoing continuous change. As the landscape changes, so do the tools needed for leaders to harness that change and improve organizational and individual performance. We appreciate the impact that talented leaders can have on business and society as a whole, and we dedicate significant resources to attract, develop and retain talented employees. The current complex, continually changing, ever challenging domestic, international, transnational, and global economic, ecological, political, cultural and social environments couples with the threats of terrorism and natural disasters require exceptional organizational leadership. Success on the battlefield – military or business – requires timely collaborative tactical and strategic win-win asset allocation and alignment with flawless execution. Balancing multiple competing demands – most especially customer, employee and shareholder satisfaction – within the context of finite resources in the business of the day. What are the requisite competencies and capabilities for executive success in this environment? This senior management training seminar is designed for CEO’s General Managers, Senior Managers and Entrepreneurs who wish to broaden their experience and skills in private or public sector business by learning a practical framework, with superior methods. This could be called just a “CEO Boot Camp”, but the ones we have seen are so much less, because they are mainly anecdotal, not complete blueprints for success. This executive level management seminar is an investment to your abilities and skills that will last a lifetime and can literally generate millions in extra profits for you/or your company. If you are a CEO, or want to be a CEO, or a General Manager, of a growth business or a service sector for the public, or if you are thinking of launching a company, this will be the best investment you will ever make. You will learn practical “How To” techniques that will build any business faster and more profitable. This executive management training seminar will also help you design, launch and improve any new products or businesses by broadening our executive skills and becoming more fluent in the business areas you are not an expert in today.